This picture frame brings a touch of fun to the photograph it contains. 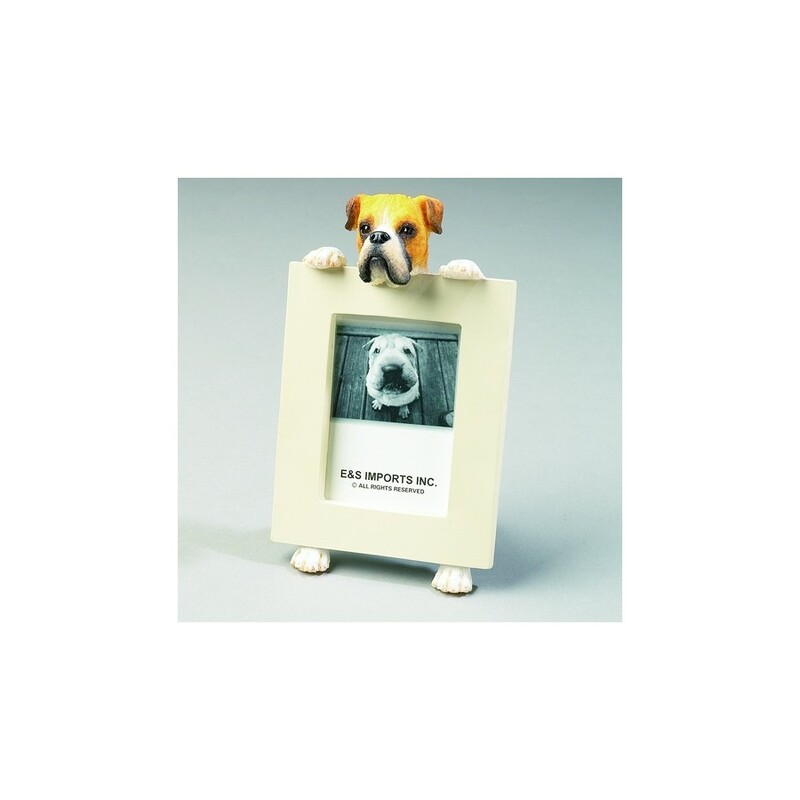 It features a figurine of your dog holding up a picture frame in which you can place a photograph with image size 65x50mm. 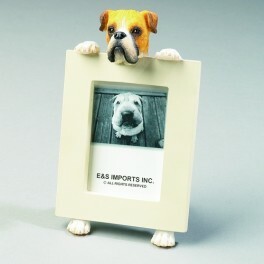 We like this because you dog's breed is accurately portrayed by the figurine however the pose of the figurine itself is almost human like with the picture frame itself being held by the dog's paws. Manufactured in poly-resin. Boxer black ink writing pen with gold coloured clip. Medium tip.